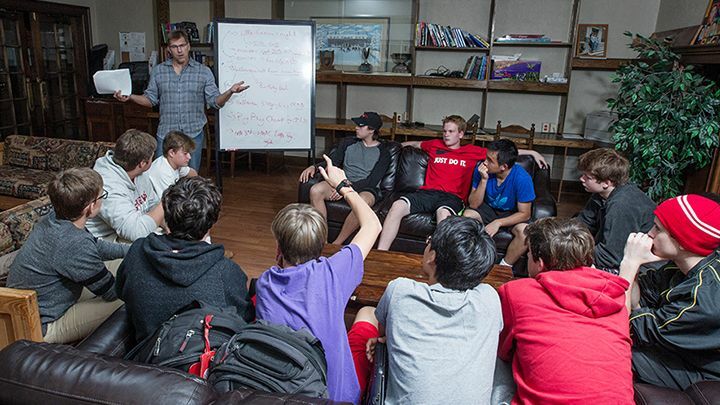 The Andrean Residential Experience (ARE) program is a new and exciting initiative designed to provide day boys with the opportunity to move into boarding for an affordable half year in grade 8 and/or a full year in grade 12. The interaction between day and boarding students is mutually beneficial and a key differentiator in the Andrean experience. 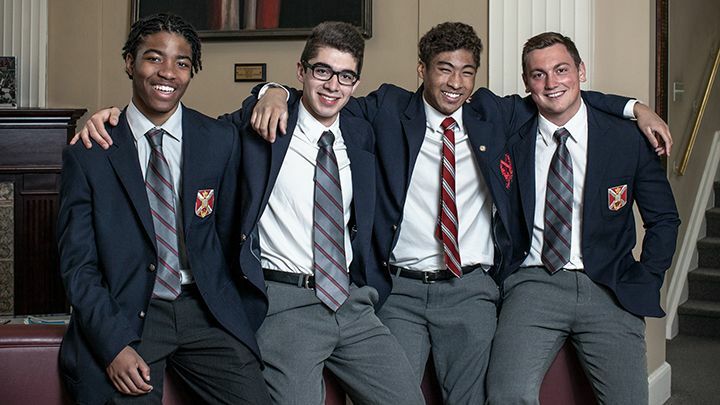 As a day student, your son’s time at SAC has been enhanced by our 24/7 mentality and the friendships he has developed with boys from around the world. 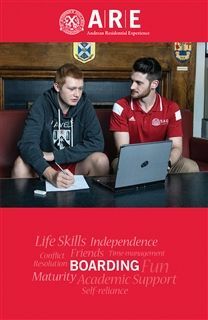 The Residential Life Curriculum is a dynamic and enriching experience that creates powerful friendships, allows students to reap the benefits of studying and playing hard, develops important life skills like resiliency and time-management, and allows students to explore a wide variety of leadership opportunities. For most students, boarding serves as an important social and emotional bridge to the next stop along their educational path, such as a move to Upper School or into university away from home. The ARE program will match your investment dollar-for-dollar from the time you enrol in the program through grade 11. Middle School families will be matched $2,000 per year and Upper School families will be matched at $3,000 per annum. When a Middle School family moves into the Upper School, contributions will change to $3,000. The money can be applied to a half year of boarding in grade 8 and/or a full year of boarding in grade 12. A $2,500 bonus will be awarded to Middle School families who opt to board their son for a half year in grade 8. This bonus will help kick-start the Upper School ARE savings plan. The family and the School will still be responsible for contributing the annual $2,000, bringing the total grade 8 contribution to $6,500 to be applied in grade 12. Signing up for this program represents no risk to families. Any monies contributed will be fully refunded plus 1.25% should your son choose not to participate in the boarding program when the time comes. However, there is a cap of 25 students in any given grade who can contribute to the program, with a waitlist should any spaces become available. Dylan Smith has been a day boy for two years. In grade 7, Mr. and Mrs. Smith have decided to contribute to the ARE program. As Middle School parents, they will make a $2,000 annual contribution to their ARE savings account, which SAC will match. At re-enrolment, Mr. and Mrs. Smith decide that to prepare Dylan for Upper School, he will board for a half year in grade 8. The $4,000 currently saved in their ARE account will be used to offset the boarding fee. In grade 8, SAC provided the Smiths with a $2,500 bonus in addition to the $2,000 match, bringing their Upper School savings account to $6,500 in grade 8. When Dylan reaches grade 12, the Smiths will have $24,500 to offset their son’s final boarding year (3 years x ($3,000 + $3,000) + grade 8 contribution ($2,000 + $2,000) + $2,500 = $24,500). To determine your own investment plan use the ARE Strategy Calculator. Day families will receive an email near the end of January containing a link to our ARE enrolment page. You must use your school login information to access the online form, and the process will simply request an online signature to authorize your participation. After submitting your request, you will receive an email confirmation as to whether you have been successfully enrolled, or if you have been placed on our waitlist (maximum of 25 families per grade). The program is on a first-come, first-served basis. As part of the ARE program, the School offers an Early Incentive program to accommodate students who are interested in transitioning to boarding in grade 11. Under the new program, the School will split your accrued funds for use evenly over the two years in residence, plus apply a $6,000 ($3,000 per year) bonus. To learn more about the Early Incentive program, please click here. If at any time during your son’s admission at St. Andrew’s College he is involved in a serious disciplinary issue, the School reserves the right to remove him from the ARE program and/or the waitlist. This will be at the discretion of the School and notification of your removal will be sent in writing. *This program is exclusively for Canadian, full-fee paying day students. International day students, all boarders, and any day families receiving financial aid are not eligible. Day boys who have won minimal entrance scholarships are eligible to participate in the program. Should you not qualify for the ARE program, but are still interested in boarding, please contact the Admission Office directly for assistance. Please note that this program will be re-evaluated each year. Transitioning to boarding in grade 11 is more affordable through ARE with the Early Incentive program. We can tell you all the great reasons to transition from day to boarding but don't take it from us, hear it from the boys.